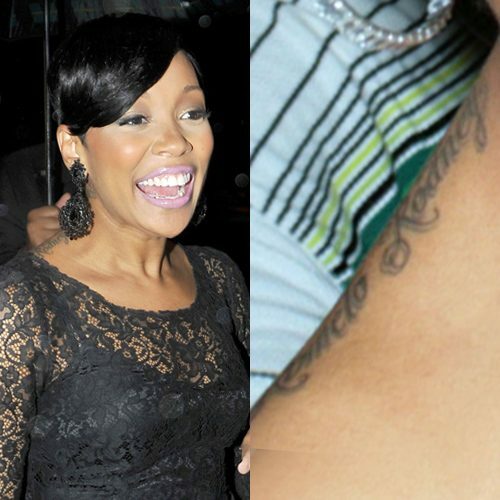 Monica Brown honors her husband, NBA player Shannon Brown, with a large tattoo of his initals “SB” on the right side of her ribb cage. 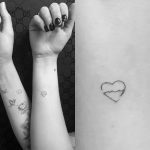 Nicola Peltz and her brother Will have matching Hebrew tattoos on the left side of their ribs. Her tattoo says “משפחה ערשט” which means “family first” in Yiddish while Will has only the first word “משפּחה” meaning “family.” Yiddish is the historical language of Ashkenazi (Eastern European) Jews and it is written in the Hebrew alphabet. 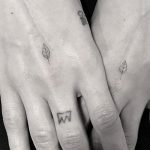 They chose Yiddish for their tattoos because they are Jewish and have Ashkenazi heritage on their father’s side of the family. This was Nicola’s first tattoo, and their July 2016 session with artist Dr Woo was the first time under the needle for Will as well. His tattoo is much thicker and darker than hers and looks more like traditional Hebrew lettering. 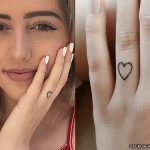 Her tattoo is styled with thin handwritten letters for a subtle look. 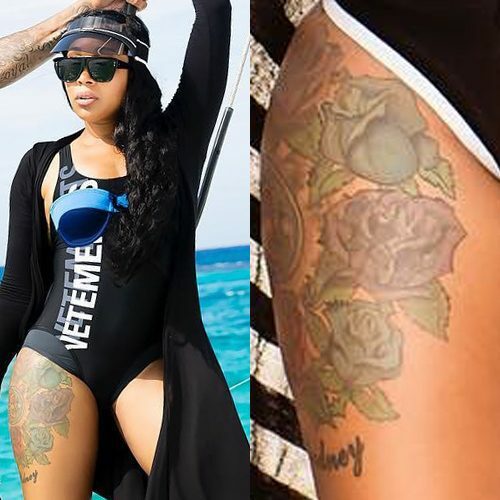 Monica has a large tattoo on her right thigh of purple, blue, and red roses which includes the names of her two sons — “Romelō” on the top and “Rodney” on the bottom. “No filter it’s the real deal..came bck for the second round of my mural on my back! I should be able to complete the top & the side next visit! Thx @tatubaby I love it & can’t wait to see it finished!! If your in Miami u should check her out! 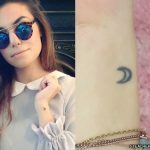 !” – Tameka Cottle said on one of her Instagram posts about her ample back tattoo design. 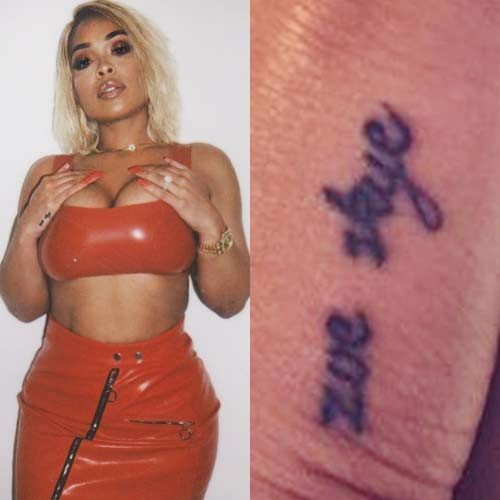 Heather Sanders got the name of her daughter “Zoe Skye” inked on her left hand in cursive font. 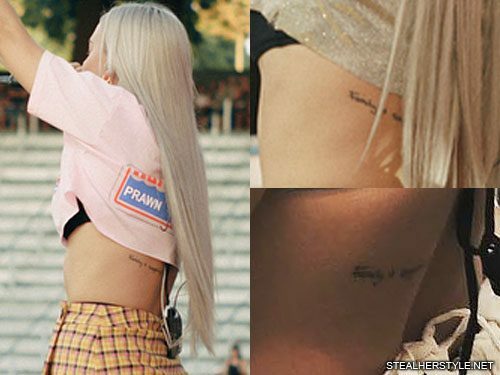 Becky G has a series of Roman numerals “X·XXVII·MCMXCIX·IV·XVIII·MMI·I·III·MMIII” tattooed on her spine which represent the birthdays of her three siblings. 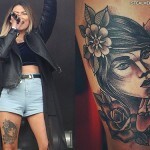 She got the tattoo from artist Dr Woo in July 2018. Becky G is the oldest of four children and was born on March 2, 1997. She has two little brothers and one little sister. Nothing says sisterly bonding more than permanently tattooing your body. After years of wanting our grandmothers writing, we did it! Our Grammy was our favorite person & now she’s even more a part of us. Also, my sister is a badass who raises two kids, teaches combat classes AND goes on tattoo runs with her baby sister. Also, ouch. This one hurt. I definitely felt like I was with her today, but then again I always feel close to her…I definitely always feel her presence. Me and my sister talk about it all the time that we wish she could be here to see what I’ve done. I don’t think many people thought in my family that [my career] would be what it is, but I always think that she did. 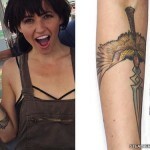 This tattoo, which they got in July 2018, is actually the second tattoo that Lucy and her sister got together to honor their grandmother. She already had a sun on her upper back.